J.P.'s Fine Art representation of local natural scenes, with their rich environments, strives to portray the light and color drenched habitats so plentiful in these regions. 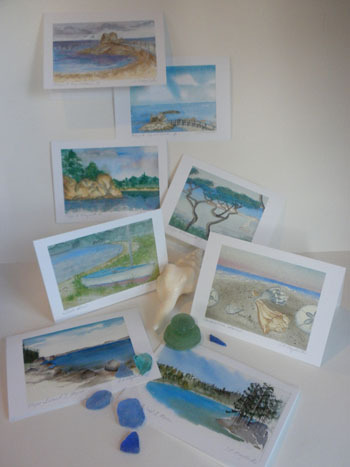 It is the artist's intention to bring the beauty of nature to you where ever you may be. (fiber is bleached without the use of chlorine and made with wind power). 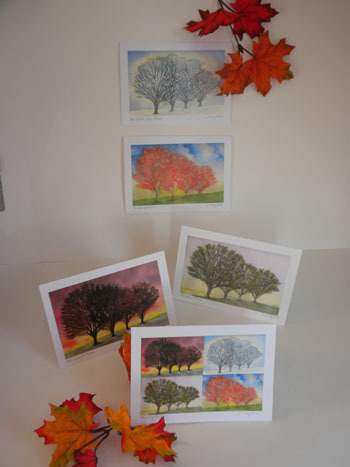 Explore the selection of designs we are currently offering as fine art greeting cards. 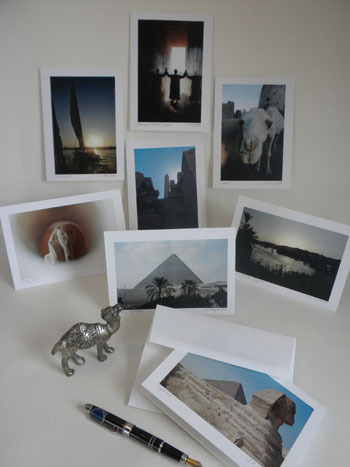 Images are also available in 8" x 10", 5" x 7" prints. These images all began as larger paintings created with inspiration gathered from nature. 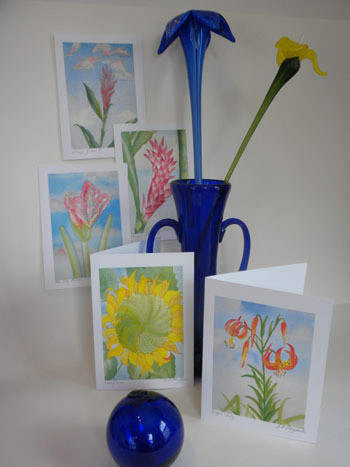 These unique cards combine the beauty of a frameable fine art reproduction with a *recycled note card that can be sent for any occasion. 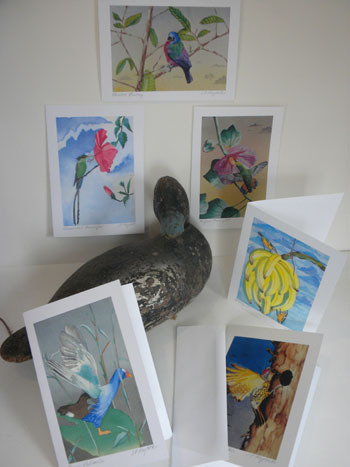 Enjoy browsing our Fine Art Gallery to view the cards and prints available in each original series. 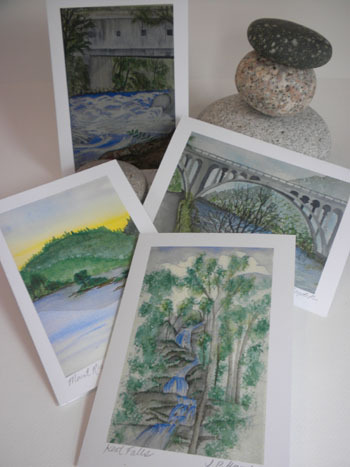 Our unique selling point is our high quality prints reproduced from original paintings.... each print is signed by the artist on recycled 5" x 7" stock *. 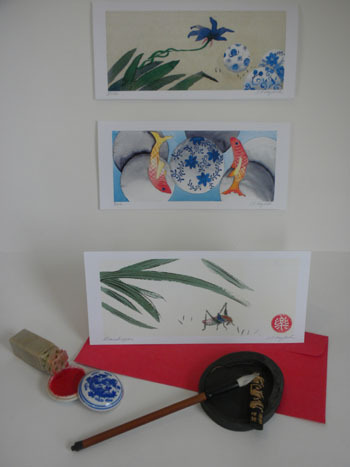 Every card is wrapped separately with a matching envelope in a poly bag. 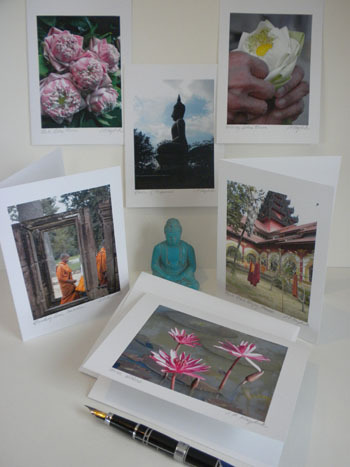 Images are also available as photographic enlargements which are individually numbered and hand signed by the artist. We manufacture products of excellence to be enjoyed by you. Please fill out and mail our Order Form for your convenience. All orders will be handled with prompt and efficient service. Please allow four weeks for delivery. $15.00 ea. - *5" x 7"
$35.00 ea. - *8" x 10"